A Sporting KC team who are chasing a Western Conference win and a San Jose side whose post season dreams have been over for some time. The 'Quakes have been largely dreadful this season, with the odd spectacular result failing to make up for plenty of disappointing ones, and it will be hard for them to stay motivated as they head towards the end of October. 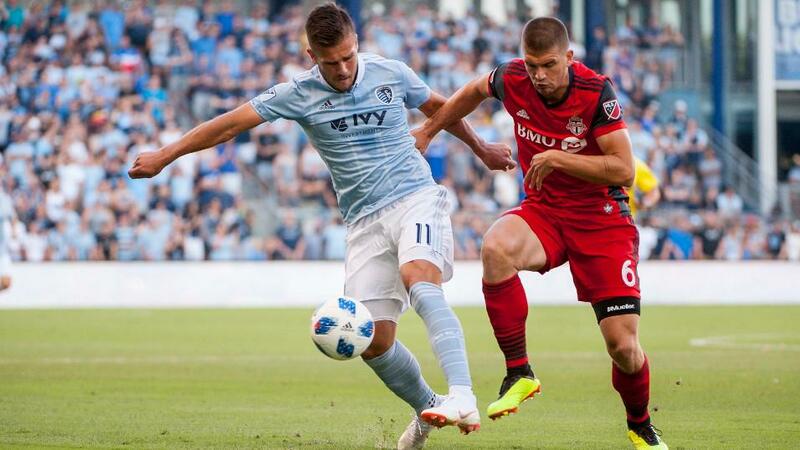 In contrast, Peter Vermes' Sporting KC are a really good side, and an outsider to lift MLS Cup this year. After a mid-season slump, they've now won five of their last six, and are excellent away from home. They've kept clean sheets in all of those five wins, and have won four of their last five against San Jose. So both logic and all of the trends point to SKC being strong favourites here, and I'm surprised to see them as big as [2.3], which makes them a solid bet. Both Toronto FC and LA Galaxy have been involved in plenty of high-scoring games in recent weeks and I don't see any reason for that to change as they meet in Canada this weekend. Toronto's last home game, against the Galaxy's city rivals, ended in a 4-2 defeat. As they launch one desperate final push for a post season place, I can't see Greg Vanney changing the style of his team, especially at home. TFC's last four home games have produced a remarkable 22 goals, and with the Galaxy arriving here off the back of a 6-1 thrashing in Salt Lake, and themselves just below the red line, there's no real reason that both teams won't go all out for the win. And they both possess remarkable attacking potential. TFC's much lauded front line helped them to smash every MLS record last season, while the Galaxy aren't shy of creating chances either, whether Zlatan Ibrahimovic is in the team or not. But their problems lie at the back: LA have conceded 23 goals in their last eight games, and there doesn't appear to be a magic solution for the Galaxy's new interim coach Dominic Kinnear. I can't see him suddenly reverting to a defensive style of play, as he has to play to his evident strengths, and with Toronto without a clean sheet since July 28, this looks set to be another game that is full of goals. Now that the Seattle Sounders' run of wins has taken them above the play off line in the West, should we start opposing them? I don't think so. Brian Schmetzer has masterminded another late season surge and confidence is so important in a League as tight as this that I'll stick with them. They started their remarkable run with victory over Vancouver, and while it's tempting to look for some symmetry, and a home win, I think that a break last weekend will have helped Seattle. Time to take stock, time to go again. Three of those eight straight wins have been on the road, and while the 'Caps have won their last two, they haven't looked particularly impressive in doing so, with both victories against a poor San Jose side, and they'll miss the suspended Yordy Reyna here. Add to that the fact that Seattle have won five of their last eight against Vancouver, and you can start to build a case. There's a real jeopardy about this game. Vancouver are now a point behind the Sounders, and just below that play off line, and will be desperate to haul themselves back above Schmetzer's team. Karl Robinson likes his side to attack and I think that they'll be vulnerable to Seattle's now established tactic of holding on and hitting teams on the counter, and finding a measured way to win what can be a very excitable derby game. I know I've bored readers of this column with this before, but I'm one of those who believes in sticking with a winning team until the price doesn't make sense or they lose, and neither of those descriptions applies to Seattle this weekend.